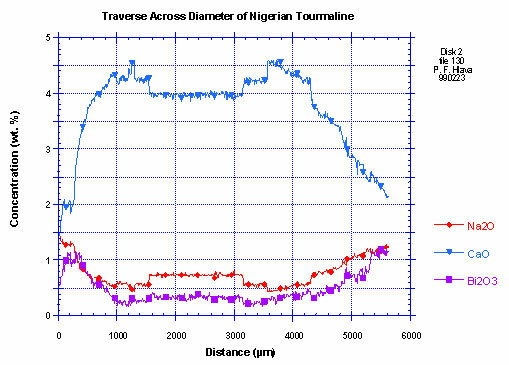 Mineralogical Notes on the "New Tourmalines from Nigeria"
I assume that everyone in the faceting community has at least heard of the new find of tourmalines from Nigeria by now. Found west of the town of Ogbomosho, near the border with Benin, the stones are fair sized crystals, mostly pink to red but with some color zoning (at the terminations) to clear, blue, and green. In the Gem News section of the winter, 1998 issue of Gems and Gemology, (Vol. 34, no. 4, pp. 298-299) Karl Schmetzer gave a brief account of this new find. He included information on the crystallography, color zoning, optical properties, and mentioned that the pink color is probably due to the Mn3+ found by spectroscopic means. An article by Suzanne Wade in the January/February, 1999 issue of Colored Stone (Vol. 12, no. 1, p. 547) was slanted more toward marketing aspects and history of the deposit, but it did mention that the deposit is alluvial in nature. It also mentioned that some of the stones had an orange tint to their color. In January, Steve and Nancy Attaway showed me a parcel of this material. We remarked on a number of unusual things about the stones including the variable amount of abrasion of the crystal faces and the orange cores present in some. The well-rounded crystals with frosted faces are good examples of material from true alluvial deposits. That is, the stones had been tumbled around and moved by stream action. The crystals with close to pristine surfaces are not truly alluvial but are probably eluvial (a rarely used term meaning the material is in place within a thoroughly weathered or rotten rock). The orange core of some of the stones is not so easily determined, and I borrowed a small crystal with an orange core to analyze with the electron microprobe. Since I could not take work time to run the analyses, I set up an overnight run to do 550+ analyses across the stone in 10 m steps after determining what elements were present. Figure 1. shows a plot of the color causing elements which are manganese (Mn) and iron (Fe). The Mn is responsible for the strong pink hue (and probably as Mn3+ as noted by Schmetzer, above). Interestingly enough, the Mn is most abundant (0.40 weight% measured as MnO, I have no way of determining the valence. To convert to Mn2O3 multiply by 1.11) in the core of the stone, but that is where the color is orange. It appears to me that the Fe, while only present at the 0.08 weight% (measured as FeO) level (one-fifth of the Mn concentration), is able to modify the color to orange. It is possible that the Mn is present as Mn2+ in the core (corresponding to the sudden change in MnO concentration) but as Mn3+ in the rims. Mn2+ also colors tourmalines pink but much less intensely and would be more easily modified by the Fe. The outer zones of the crystal are Fe-free (the plot shows only analytical noise). There, the color is vivid purplish-pink, even though the Mn content is much lower. You might ask what elements are found in the clear, blue, and green zones. The answer is that I have not looked at these zones in this material. I have checked other elbaites and found that green zones are Fe-rich and Mn-free, while the clear zones between pink and green have approximately equal amounts of Mn and Fe. The two appear to cancel out each others colors! I have not personally analyzed blue tourmalines, but Fritsch and Rossman (G&G, Vol 24, 1988, no. 2, pp. 81-102) suggest Fe2+ and Ti4+ and a possible charge-transfer mechanism. Three other elements that I analyzed in this stone, calcium (Ca), sodium (Na), and bismuth (Bi), show interesting patterns (Fig. 2). Ions of all three of these are quite close in size, and they would share occupancy of the alkali site (the W-site) in the tourmaline structure. Because Ca is, by far, the most abundant of the three, there is not enough aluminum (Al) to satisfy the X-site. Thus, there must be Li in the structure, and Fe and Mn are only present as traces. These tourmalines are probably liddicoatites rather than elbaites or other species. (End-member liddicoatite would contain just under 6 weight% CaO.) I had never heard of tourmalines with Bi in them, and I thought that this was a new development. When I was in Tucson, I chatted about these stones with the folks from Coast-To-Coast Gems. Brad Wilson mentioned that Bi is found in other tourmalines from Lundazi, Zambia. 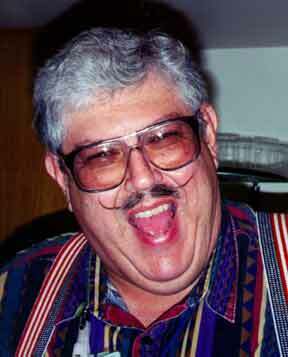 I later called Brad, and he directed me to the article by Johnson, et al. in the Fall, 1997 issue of Gems and Gemology, pp. 204-211 titled "Multicolored Bismuth-Bearing Tourmaline from Lundazi, Zambia". This article mentions several other references to Bi-bearing tourmalines, including those from Paraiba. 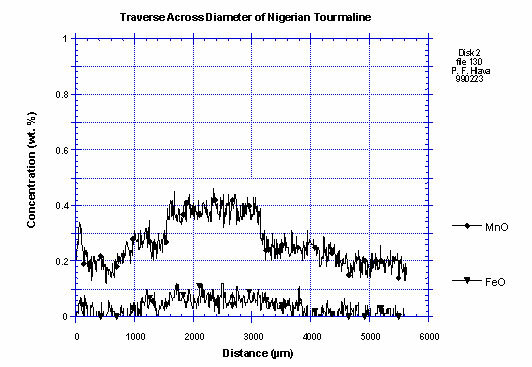 It does appear that these Nigerian tourmalines have higher concentrations than any of the other reported occurrences. One last item before I close. Several people have commented to me on the troubles they had polishing the stones they faceted from this kind of material. To some, the material acted a lot harder to polish than the tourmalines they are used to. Others said that it seemed to polish easier, and a third group noted nothing different. Mike Gray (Coast-To-Coast Gems) mentioned that areas near the edge of some stones show stress colors in the polariscope and/or empty tubes. I am going to defer judgement on these things until more data becomes available, but it definitely looks like these things bear more investigation. If you have information to offer on any aspects of these tourmalines, please contact me.